Radio/alarm clock. 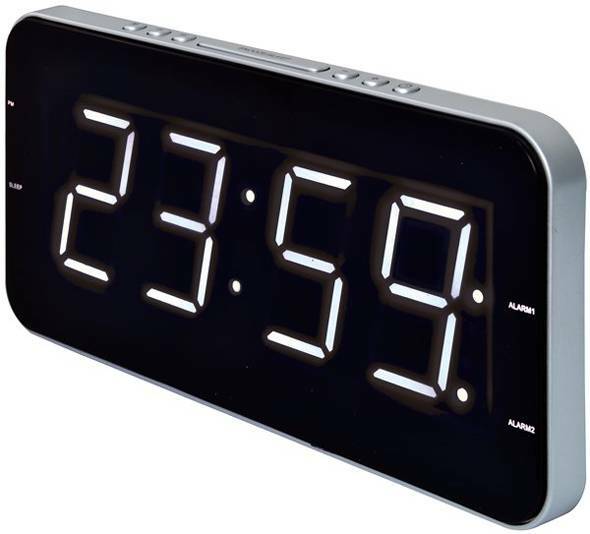 Wake up function by radio or alarm clock. Double alarm. Sleep/ snooze functions. White LED display. MW/ FM radio. AUX-IN. Headphone out. Battery operated back-up memory (not included).